Engineering, design, construction support, performance testing and commissioning of a 120 MW coalmine methane (CMM) fired power plant for Shanxi Jincheng Anthracite Coal Mining Company (JMG) in China. The power plant makes use of the CMM discharged from the underground wells of Sihe Coal Mine as fuels, adopts gas engine-generator sets and heat recovery power generation unit to form a combined cycle generation power plant. The power CMM contains about 40 percent methane. The total generation capacity of the power plant is 120.42 MW with 7,000 hours of annual available time. The power plant is connected with 220 kV substation in the power grid. 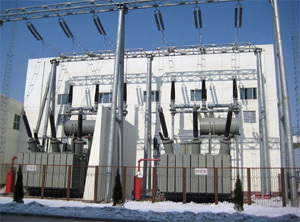 220 kV substation with two (2) 75 MVA step-up transformers. The power generation equipment is installed in four (4) unit powerhouses; each powerhouse has a generation capability of 30.105 MW. The annual consumption of CMM by the plant is about 440NM3, which is converted into about 178NM3 of pure CMM. The annual generation capability is about 840,000 MWH, and the heating supply in winter totals 233,600 GJ. The project cost was $250 million. Revenue produced by the project consisted of avoided power purchases, sale of excess power to the local utility company, and the sale of certified emission reductions (CERs) under the Clean Development Mechanism. 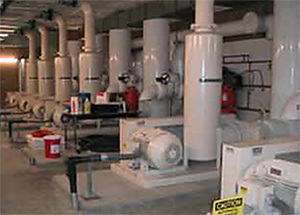 Engineering, design and construction administration for installation of three 970 kW landfill gas fired reciprocating engine/generators at Alza Building M1/M5, Building M3 and Building M12; a 1.5-mile landfill gas transmission pipeline; and a landfill gas pressurization/conditioning system. Waste heat from the engine/generators was used to supply hot water to the buildings. 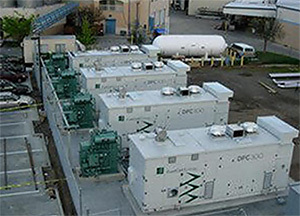 The engine/generators were interconnected to Pacific Gas and Electric Company (PG&E) for the purpose of securing standby and supplementary power. Landfill gas were being supplied from the Shoreline Landfill. The project began commercial operation in December 2005. SCADA system which allows remote monitoring and operation of the facility from any location using a personal computer. The project employed two 70 kW Ingersoll-Rand microturbines which are fired on landfill gas with a methane content of 40%. The project generates power to satisfy the requirements of the landfill gas flare station, irrigation pumps and a sewage pump station. The microturbines will be installed at two separate locations. 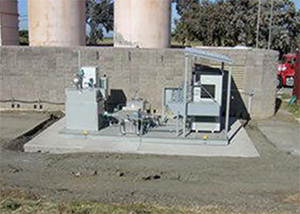 The microturbines are interconnected to Pacific Gas and Electric Company (PG&E) for the purpose of securing standby power. The microturbines operate grid parallel with PG&E and they are base loaded. Our designed/fabricated SCADA systems which allow remote monitoring and operation of the facilities from any location using a personal computer. The project began commercial operation in December 2004. 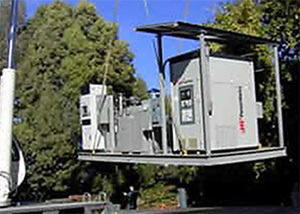 The Sierra Nevada cogeneration facility employed four 250 kW FuelCell Energy, Inc. fuel cells. The fuel cells use natural gas as a fuel. Waste heat is used to produce steam to partially satisfy the process requirements of the brewery. 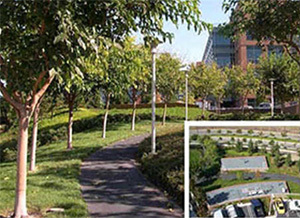 We provided engineering, interconnection application, design and construction support services for this project. The total capacity of the project is 1.0 MW. It is the largest natural gas fired commercial fuel cell power plant in the United States. The facility began operation in May 2005.